What does Zinfandel taste like? 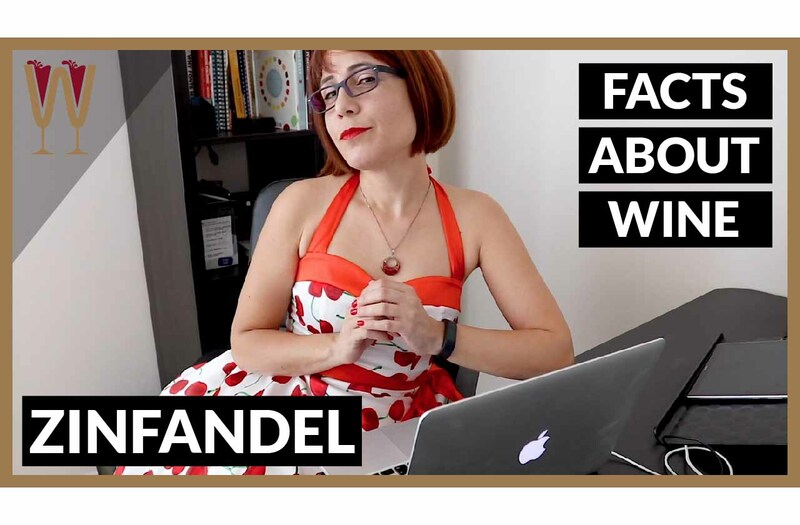 Zinfandel wine and White Zinfandel are the topic of todays video. Did you know that Zinfandel and Primitivo are probably the same grape? In this video WineScribble explores the interesting travel of the Zinfandel grape from its original home in Zagrab to its modern home in California. Find out more about the history, the genetics and the taste of Zinfandel (also known as Tribidrag and Crljenak Kaštelanski). Enjoy! Who doesn’t love a good old American Dream story? One of my favourite success stories involves an immigrant from Croatia in Eastern Europe. Overlooked and neglected in their home country this immigrant found themselves on a ship. And, it was in America where their fortune changed. Typically just a few generations later they are now worth billions of dollars and everybody has heard of them. Of course, first they had to change their name because frankly their European name was really hard to say. Crljenak Kaštelanski. Crljenak Kaštelanski is also known as Zinfandel. Here are my fast five wine facts. What does Zinfandel taste like? Actually, I don’t have a bottle of Zinfandel. We should go and see George at Spiritology. Zinfandel is the third most planted grape in America after Chardonnay and Cabernet Sauvignon. However, for decades Zinfandel was considered indigenous to California where it happily flourished. Later, it was discovered that Primitivo was genetically identical to Zinfandel so it was thought that Zinfandel originates in Puglia in Italy. However, further investigation revealed that this grape in fact originates in Croatia where it is known as Crljenak Kaštelanski, maybe? Or… Tribidrag. According to geneticists this is an ancient grape one of 13 founder grapes that have fathered every grape in Europe. There are two viticultural problems related to Zinfandel. Firstly, it tends to yield far too many grapes which makes it very challenging to produce a concentrated wine. To deal with this regular pruning is required to keep the yield under control. Secondly, the bunches of grapes ripen unevenly because they are very tightly packed. So, this leaves the grapes vulnerable to rotting and many turn to raisins while still on the vine. This again requires a lot of attention from the viticulturalist. In the 1980s Zinfandel gained wild popularity in America as a slightly pink, faintly sweet wine. This became rather confusingly known as White Zinfandel leading many wine lovers into mistakenly thinking there’s a white zinfandel grape as well as a red one. White zinfandel is essentially a rosé wine, and it’s been around since the late 19th century. However, until the 1970s White Zin was made in the dry style. This changed in 1975 when a batch of Zinfandel rosé in the Sutter Home winery experienced a stuck fermentation. This simply means that the yeast died prematurely leaving a lot of grape sugar still in the must. Upon tasting it a few weeks later the winemaker decided that it had turned out rather tasty. So, they went ahead and bottled the happy accident and repeated it year after year. To this day White Zinfandel outsells Red Zinfandel six to one. Although many wine lovers are quick to dismiss White Zinfandel as unworthy of their attention, it’s important to remember that White Zinfandel saved Red Zinfandel from extinction. Thanks to the White Zin craze many old vines of Zinfandel survived that now naturally produce low yields and very concentrated wines. Fact about Zinfandel five. What does Zinfandel taste like? What does Zinfandel taste like? A red Zinfandel wine is both fruity and spicy. Some fruit aromas such as raspberries, blackberries, cherries, cranberries. And there is a generous sprinkling of cinnamon and black pepper. Depending on the winemaking and ageing methods it undergoes Zinfandel can display a range of secondary and tertiary aromas. Zinfandel made using carbonic maceration can display aromas of bubblegum and candy. Ageing in oak barrels can produce aromas ranging from vanilla to smoke, and a Zinfandel that’s aged in the bottle can come to display earthy aromas such as mushroom, leather and tobacco. So, this is the story of Zinfandel, the immigrant who left the old world to take the new world by storm. It is a tale that exemplifies that the success of a wine can depend not just on terroir and social trends, but also on happy winemaking accidents. Comment below and let me know if you have enjoyed these fast five facts about Zinfandel. Use the thumbs up button, use the share button, send it to a friend. Cheers everybody! I love coming to Spiritology, George is a really good friend of mine, and this shop is great because you get a bit of everything. But, more importantly, George will get me any wine, any bottle that I want from anywhere in the world if I ask him. This endless corridor of bottles of wine from all over the world, it’s like travelling without moving. George thanks for letting me film in your shop.